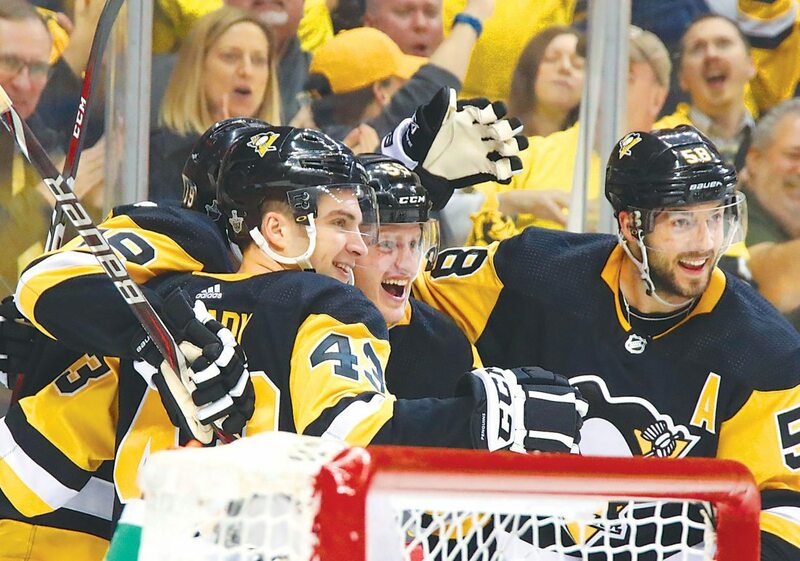 The Associated Press photos The Penguins’ Jake Guentzel (center) celebrates his goal with teammates on Wednesday in Pittsburgh. PITTSBURGH — The sluggish opening three months. The so-so finish. The only occasional attention to detail on defense. None of it matters anymore.